One of the most instantly appealing of James's early masterpieces, Washington Square is a tale of a trapped daughter and domineering father, a quiet tragedy of money and love and innocence betrayed. Catherine Sloper, heiress to a fortune, attracts the attention of a good-looking but penniless young man, Morris Townsend, but her father is convinced that his motives are merely mercenary. He will not consent to the marriage, regardless of the cost to his daughter. 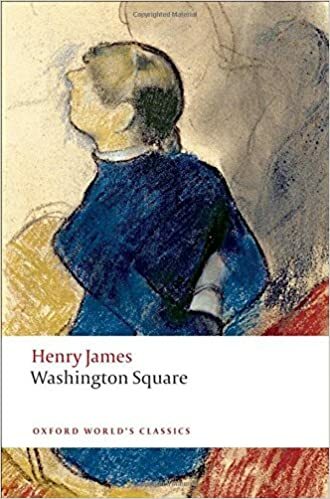 Out of this classic confrontation Henry James fashioned one of his most deftly searching shorter fictions, a tale of great depth of meaning and understanding. First published in 1880 but set some forty years earlier in a pre-Civil War New York, the novel reflects ironically on the restricted world in which its heroine is marooned. In his excellent introduction Adrian Poole reflects on the book's gestation and influences, the significance of place, and the insight with which the four principal players are drawn. The book also includes an up-to-date bibliography, illuminating notes, and a discussion of stage and film adaptations of the story.